434 stroker (built) 520 rwhp / 516 rwtq. Naturally Aspirated. Too much engine to list. 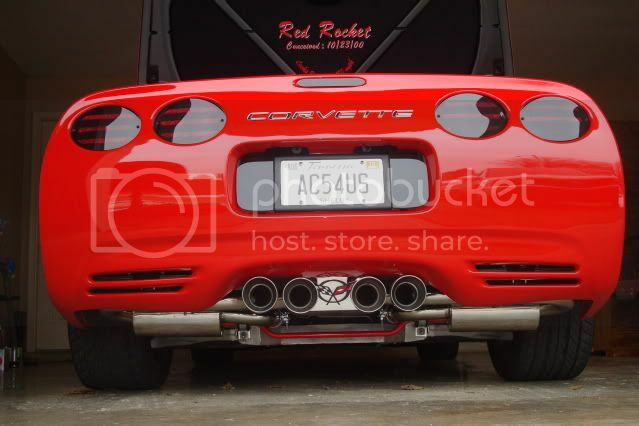 L5 Flares w/ c6 Z06 mudflaps. Aci ground effects (front and sides). Custom paint (ghost C5 emblem on hood and decklid). Z06 functional screens front and rears. I just finished the rear deck cover. Here is a pic of the finished product. Also, here is a before and after pic. I am a modder on a budget. 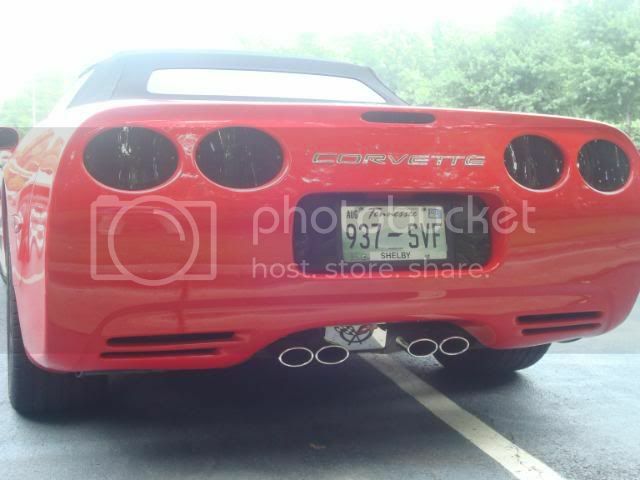 That is a bad thing to be when dealing with a vette. I got these from another member for a couple c-notes back in Feb. I couldnt pass that deal up. Thank you. I like it, but the GF wants the chrome back on and since she drives it, she rules. In the process of looking for something different in a deep dish. The stainless steel peice is one off and home made. Fabricating mounts was the most difficult part to it. And I molded the licence plate cover into the fascia so it is one piece. That stainless steel part looks cool and kinda like the ZR1, where did you get it or how did you do it? Maybe it's just the pic, but it looks like ur front plate bracket is gone and flush with the body. Is this the case? Joined the forum this a.m. to view your most recent pics.....Looks great - anxious to see when completed.